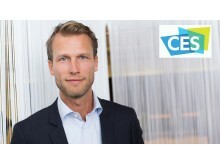 Telenor’s VP of Internet of Things, Robert Brunbäck, shares his take on the latest tech trends unveiled at the CES 2016 in Las Vegas. From invisible wearables to digital toys, these are the biggest trends we spotted at CES. Last year’s booming wearables are now getting more and more integrated and invisible. Samsung showcased how technology is getting miniaturized and built into suits, belts and fabrics. Misfit has integrated its activity tracker into ordinary earplugs and Digitsole embed its tracker into the soles of shoes. Swarovski build it in to create smart jewelry, bracelets and ordinary watches.GPS-tracking of elderly is now integrated into the walking stick coupled with alarm button and emergency call functions. Besides the vacuum robots and automated lawn movers we have seen for a while, new innovations, like the Laundroid, were presented. Laundroid takes care of automatically folding your clothes and separating them by trousers, shirts, etc. 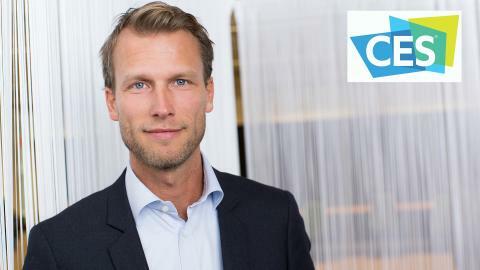 The vision is to automate the complete clothing care cycle of washing, drying and folding. Sounds nice, right? Personal robots like Pepper and half-human/robot versions like Beam draw a lot of attention, however, it is yet a few years from broader market uptake. If you want to control your home while away you might want to try Orbii, a multisensory ball (including camera and speaker) that you can roll from room to room via your smartphone or laptop. Even though most gadgets still include screens or separate apps, alternative ways of control are getting traction. Fibaro has included gesture recognition into their smart home solutions and Tobii showcased their eye-tracking solution to replace the mouse or other controls. Next generation wearable glasses with virtual interfaces controlled by hand movements were also showcased. 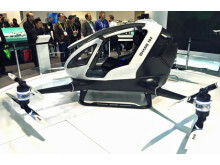 CES was flooded by new smart electric transportation units in all shapes and forms. Besides the Segways, there are numerous variants of e-scooters, kickboards and hover boards with impressive range and ease of use. Ehang also presented a full size drone with the load capacity up to 100kg for autonomous person transportation at 100 km/h! Not surprisingly, 3D printers are gaining more and more traction, now also fueled by rapidly expanding ecosystems of makers and DYI services. Visitors at CES could also taste beer from Picobrew, enabling you to have your own microbrewery at home and download your favorite beer recipe from other micro-brewers around the world. Bonaverde presented a similar concept with a connected coffee machine, short-cutting the value chain and letting you order and make your favorite blend from an expanding global community of small coffee farmers. 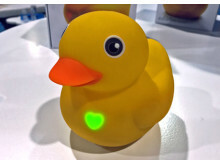 Digital applications based on interaction with physical toys were presented.For example Edwin, a smart connected duck that becomes your buddy for physical interaction in games, stories and even sings you a lullaby of choice at night. 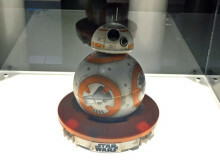 Sphero showcased their new Star Wars BB-8 droid which you can steer with your Forceband around your wrist – now that’s as close to Jedi-powers you might ever get! And finally, augmented and virtual reality concepts showcased by, for example, Oculus Rift and Samsung are really getting their act together. 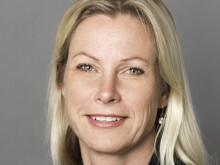 This is likely to see a major market uptake shortly, not only in the games and entertainment sector, but also in more business and professional contexts. Owned and produced by the Consumer Technology Association (CTA)™, CES® is the global gathering place for all who thrive on the business of consumer technology. Featuring more than 3,600 exhibitors across 2.4 million net square feet of exhibit space, CES 2016 showcased the full breadth and depth of innovation last week in Las Vegas.